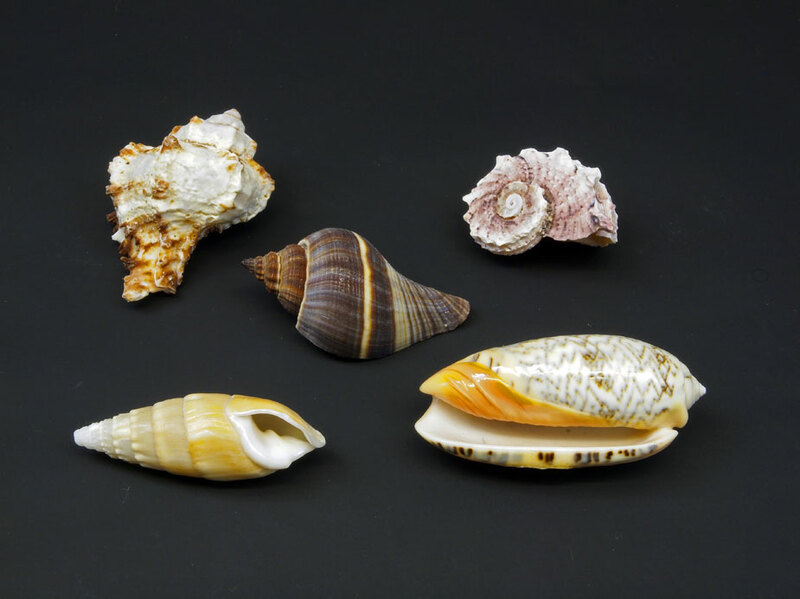 Mollusc shells take a number of forms. The Gasteropods have a single, often spiraled, shell, whilst the bivalves have 2 flattened shells held together at a hinge. Here are some examples of Gasteropod shells.